The High Court, in Fearn & Ors v The Board of Trustees of the Tate Gallery (2019), has dismissed claims from various residential tenant claimants that a viewing platform located in the Tate Modern amounted to nuisance and an invasion of privacy. Five residents of a luxury tower block in London’s South Bank issued a claim against the Tate Modern in nuisance and under the Human Rights Act 1998 in an attempt to protect their right to privacy from the viewing gallery. The level 10 viewing platform designs were unveiled in 2009 and was first opened at the Tate modern to members of the public in 2016 in order to offer visitors a 360 degree view of London and surrounding areas, 7 days a week. Unfortunately for the residents, the southern side of the viewing gallery faces directly into their flats which completed in 2012, meaning their home would be a viewing site for thousands to see. 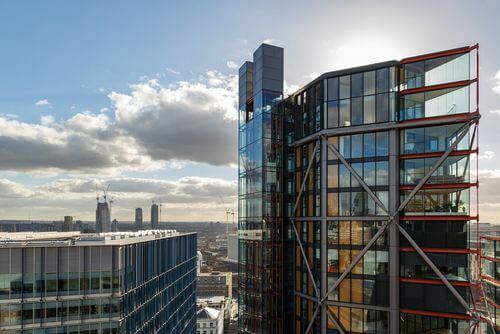 In spite of the Neo Bankside Development featuring ceiling to floor glass walls that provide residents with a beautiful view of London, residents have been subject to photographs being taken of themselves and the contents of their homes – some of which have been uploaded onto various social media platforms. To make matters worse, binoculars were also installed on the viewing platform in 2018, in order for visitors to enjoy an even better view. After hearing evidence from the residents, Mr Justice Mann held that there was a substantial amount of visitors to the viewing platform whose interest in the flats was such that a homeowner would find reasonably intrusive. He also held that the level of intrusion was far greater than normal. Nonetheless, the direct privacy claim under the Human Rights Act 1998 failed because the activities of the Tate Modern were held not to be governmental in nature and therefore the Tate did not qualify as a public body. In relation to the nuisance claim, Mr Justice Mann had to consider the following: 1) whether the law of nuisance could apply to an invasion of privacy and 2) whether it had been established in this case. Notwithstanding the law of nuisance was applicable, Mr Justice Mann found that due to the use of floor to ceiling glass walls, the residents had ‘submitted themselves to sensitivity to privacy’. He also stated that while the building offered impressive views ‘it came at a price in terms of privacy’. The Tate Modern had also reduced the opening hours of the viewing platform, in order to reduce the level of infringement upon residents, which worked in their favour. The Judge suggested the residents take measures to protect their own privacy by installing blinds or net curtains, for example. As a result, Mr Justice Mann held that there was no actionable nuisance claim. The residents are considering appealing. In spite of the invasion of privacy that residents may feel, the designs for the viewing platform were unveiled to the public in 2009. Therefore, current residents should have taken this into account before they purchased their flats.